Ring News 24Boxing News Breaking Boxing NewsCould Chris Eubank Jr’s Career Be in Jeopardy With Loss to James DeGale? Could Chris Eubank Jr’s Career Be in Jeopardy With Loss to James DeGale? If you are a fighter in the sport of boxing, the backlash that you receive from fans, the media, and fellow fighters can sometimes be tough. Nobody seems to be on the side of a fighter when they lose or look lackluster, and Chris Eubank Jr. has definitely taken some criticism over the years. Eubank is heading into a very big fight in his career, as he will be facing off with former two-time world champion James DeGale on February 23rd from the O2 Arena in London. ITV Boxing Office pay per view will carry the do-or-die grudge match, as each man has had plenty to say in the lead-up to the fight, with much of the animosity appearing to come from a heated sparring session years back that left the two on fractured terms. But for Eubank, it’s almost as if there has been a black cloud hanging over his head in recent years, as fans and insiders simply have felt that he hasn’t reached his full potential in the professional ranks. A big part of that may come from his father, Chris Sr., who was one of the most vocal and brash champions in British history. 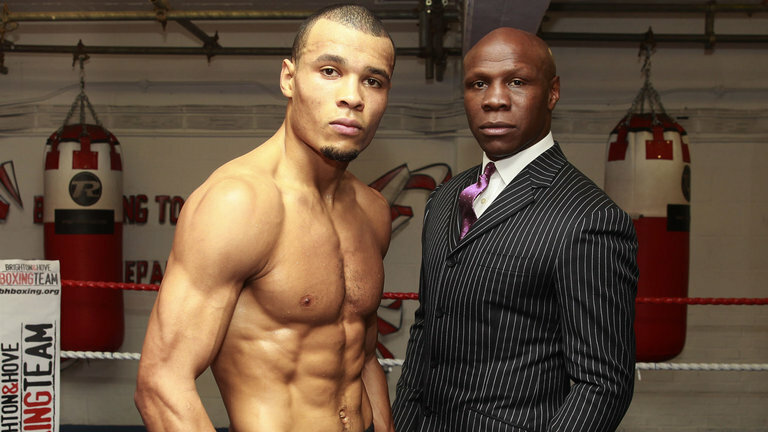 The elder Eubank also spoke equally as highly of his son, and due to his past accolades, people began expecting a certain level of pedigree from the younger Eubank. And Eubank’s career definitely hasn’t been a busy. At 29 years of age and through 29 fights, he has compiled a 27-2 record with 21 knockouts while engaging in some memorable fights. But he has yet to win the desired title that he has been seeking. The two losses on Eubank’s ledger are to quality fighters in former champions Billy Joe Saunders and George Groves. Eubank lost to Saunders via split decision in 2014 and suffered a points loss to Groves in February of last year. It was the Groves fight that appeared to expose some holes in Eubank’s game, as he fought without a real game plan and was very straightforward with his attack. Groves, who recently retired from the sport, was able to pick his shots and box his way to a clear unanimous decision victory. With the fight being part of the inaugural World Boxing Super Series, Eubank could have been on his way to a mouth-watering showdown with WBA super middleweight Callum Smith in the finals, yet it wasn’t meant to be. So when we look at his fight with DeGale, this is much more than just a fight for Eubank. His back is truly up against the wall in many ways. If there are some things that Eubank can take in his favor, it’s the fact that DeGale appears to be on his final run as a fighter. DeGale, 33, had a brutal fight with former champion Badou Jack in January of 2017 and was getting battered as the fight reached its close. DeGale ended up losing his title to unheralded Caleb Truax in his next fight, and despite gaining revenge in the rematch four months later, he wasn’t convincing. This is a great opportunity for Eubank to seize the moment, score the victory, and eye bigger showdowns and title hunts near his weight class of 168 pounds. And perhaps then, with a profound winning streak, he can silence some of his critics. Because a loss at this stage could spell the end of his prizefighting days.